Microcredit is the extension of very small loans (microloans) to impoverished borrowers who typically lack collateral, steady employment, or a verifiable credit history. It is designed to support entrepreneurship and alleviate poverty. Many recipients are illiterate, and therefore unable to complete paperwork required to get conventional loans. 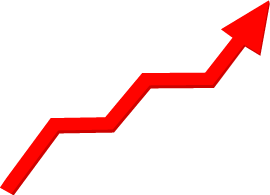 The term ‘Microfinance’ is interchangeably used for Microcredit. Microfinance Institutions (MFIs) refer to those organizations who provide an array of financial services, including loans, savings and insurance, available to poor entrepreneurs and small business owners who have no collateral and wouldn’t otherwise qualify for a standard bank loan. 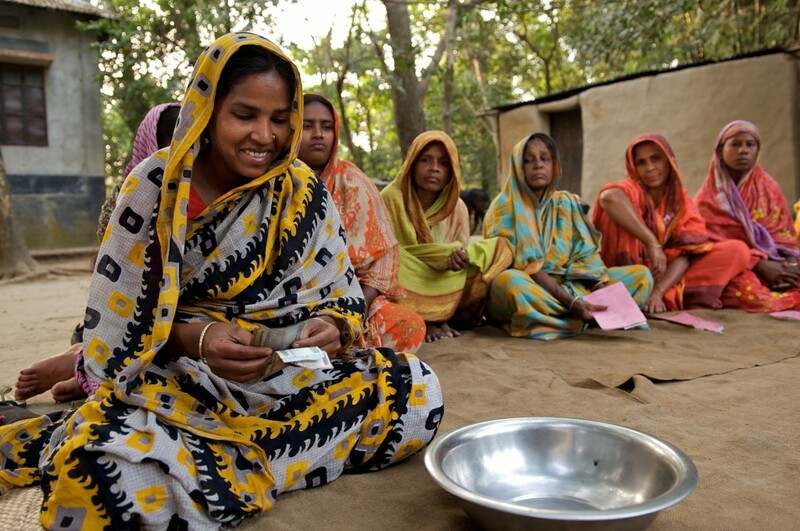 Grameen Bank is generally considered the first modern Microcredit Institution in the world. Founded by Dr. Muhammad Yunus, Grameen Bank introduced group lending method to disburse collateral free loan among its group members. Later on this method of micro-lending was replicated by a no. 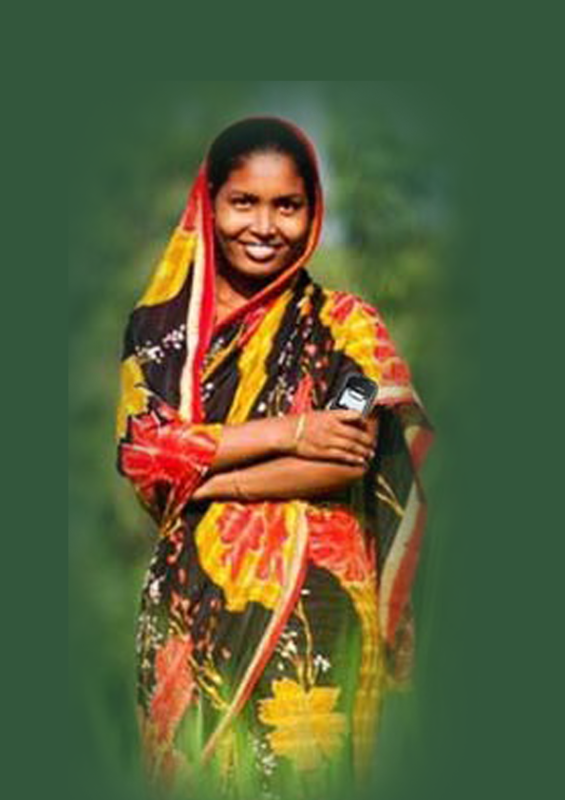 of MFIs in Bangladesh. Microcredit Regulatory Authority (MRA) is the central body to monitor and supervise microfinance operations of NGO-MFIs in Bangladesh. 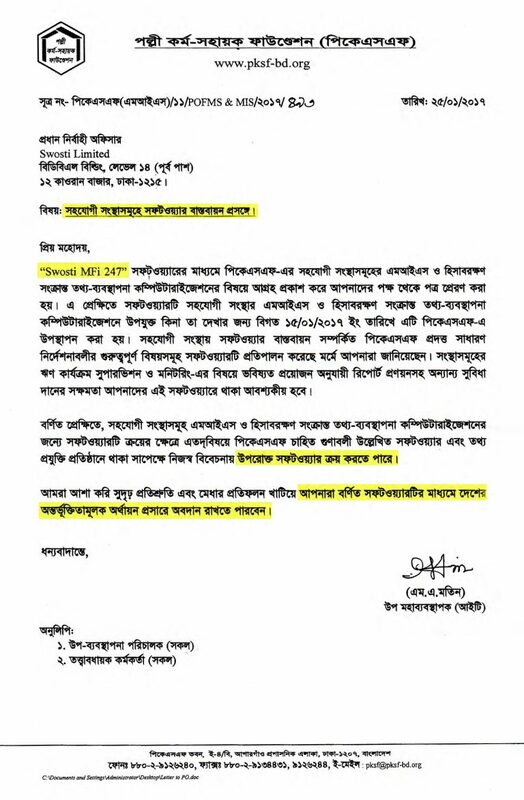 License from the Authority is mandatory to operate microfinance operations in Bangladesh as an NGO. Currently no. 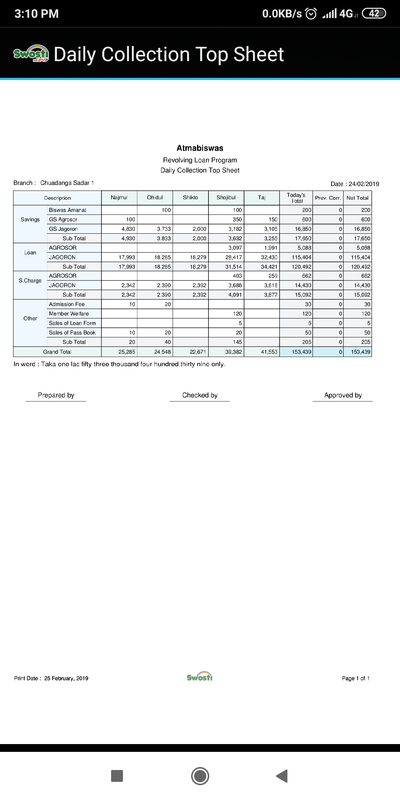 of MFIs licensed by MRA is around 700. Palli Karma-Sahayak Foundation (PKSF), an apex development organization, was established by the Government of Bangladesh (GoB) in May 1990, for sustainable poverty reduction through employment generation. A no. of MFIs receive low-cost financial assistance from PKSF and route this fund for their lending activities. 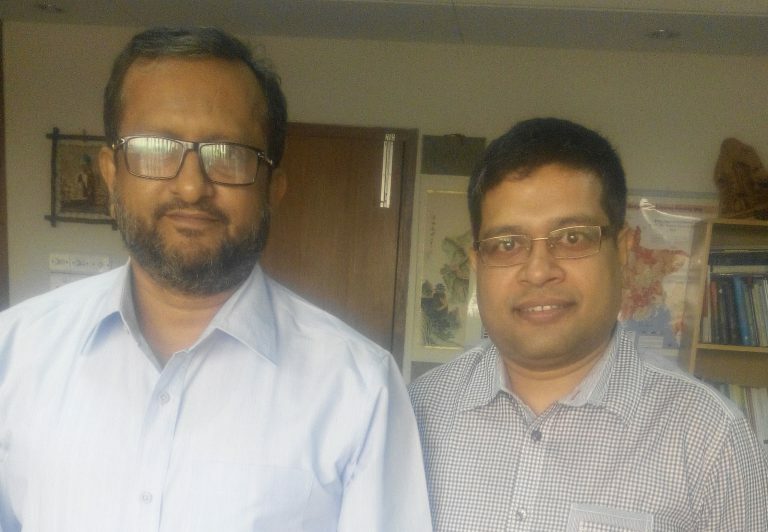 Initiated in December, 2014 Swosti Ltd. (a sister concern of Bdjobs.com Ltd.) introduced 1st Paperless, fully-automated Microcredit and Micro-savings Management Software Application in Bangladesh. 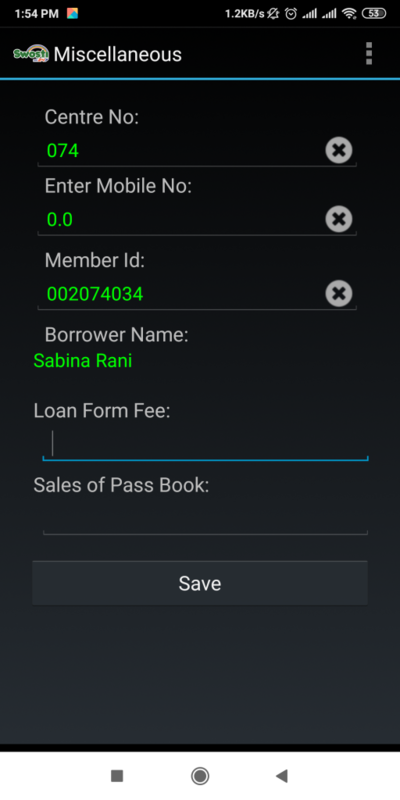 Using handheld Mobile device (TAB) a Field Officer or Credit Officer inserts Loan and Savings collection data during the samity visit on the go. 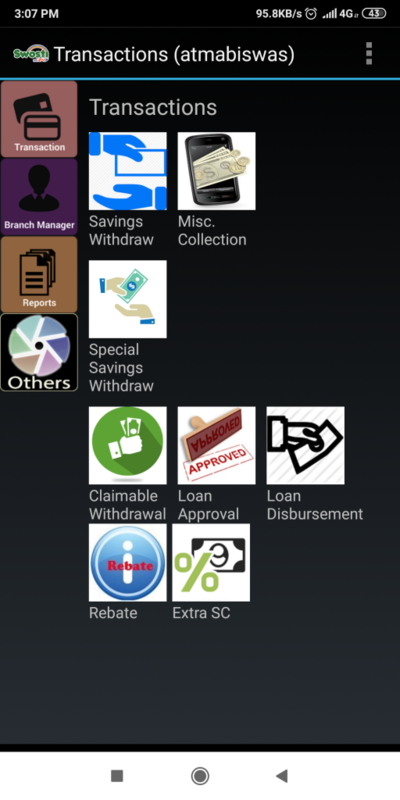 And that’s all for Loan and Savings collection! Your field staff is now free and does NOT have to write any other voucher or do paper works. 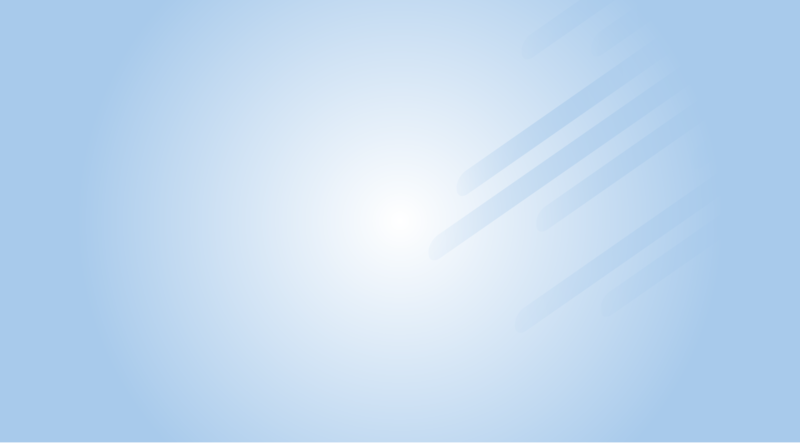 This makes the application highly user-friendly without needing any other staff to insert branch transaction data. 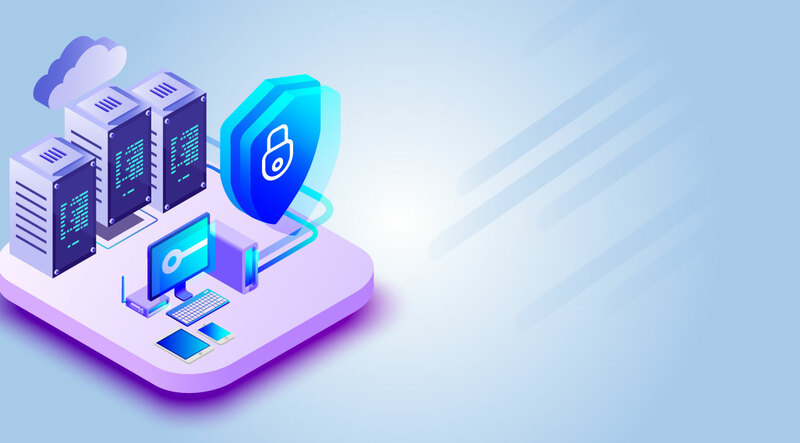 In case your organization intends to do web based transaction entry through PC or Laptop, we have web-based (online, fully automated) transaction entry facility running parallelly with the existing Mobile based transaction entry. 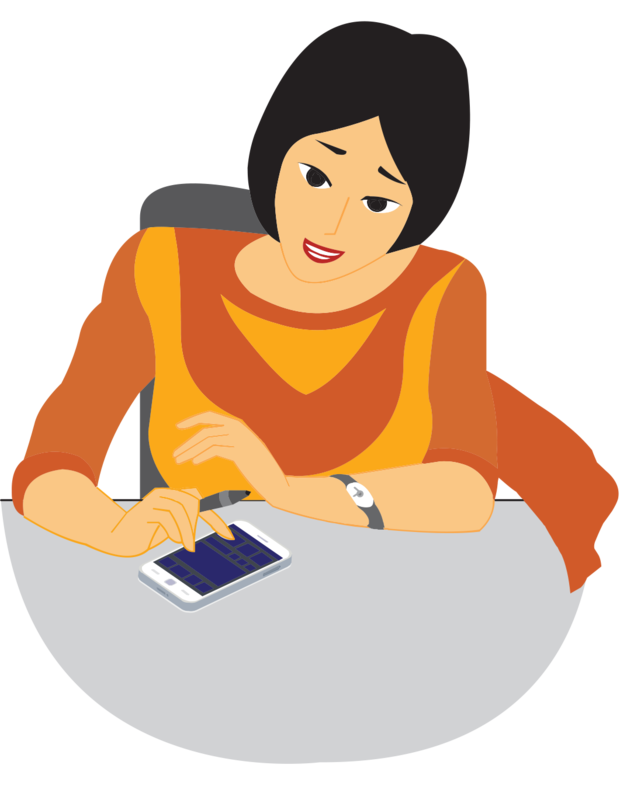 Our Microcredit software helps you manage all your client data including loans, grants, investors, donors and much more. 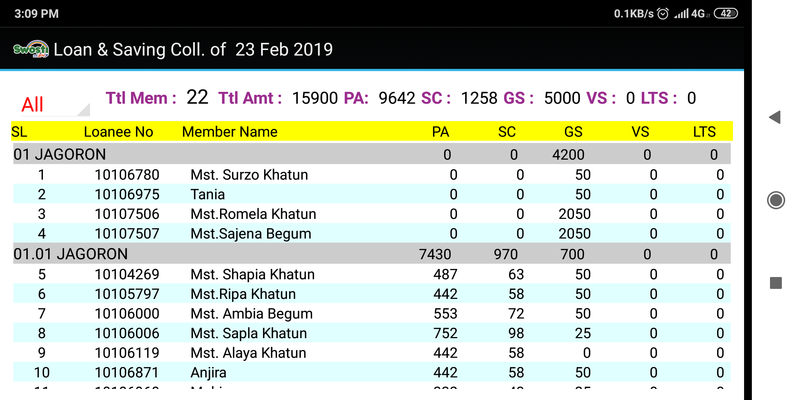 And it is having awesome features to capture the historical data and Apps based numerous Management Reports for your stakeholders including Top Management and Donors. No worry about security! 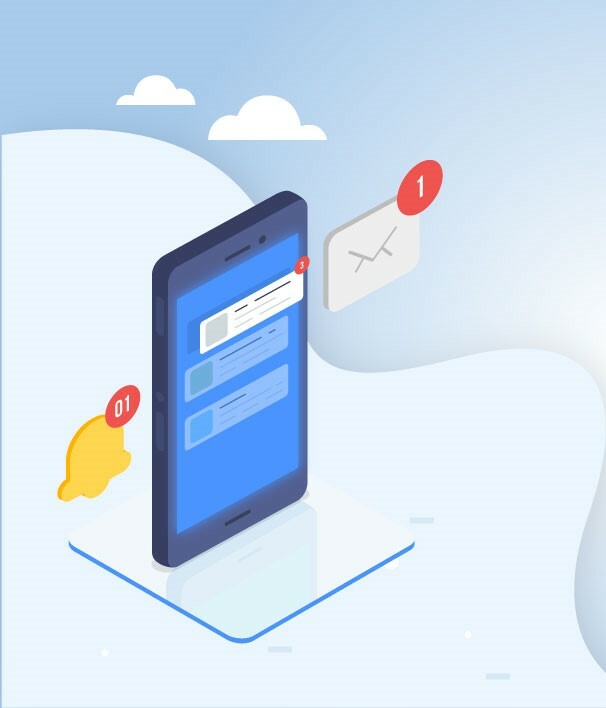 ‘Swosti-mfi247’ application runs on world’s renowned cloud server with topmost security features utilizing latest technology, tools and frameworks. Our knowledgeable, highly professional and energetic team is ready to listen to your requirement further to customize products and features as per your special needs. ‘HR & Payroll’ is the integral part; and so is the ‘Asset Management’ with ‘Swosti-mfi247’. So your organization gets complete software support for all your programs – Microcredit, accounting & finance, human resources and asset management and so one. 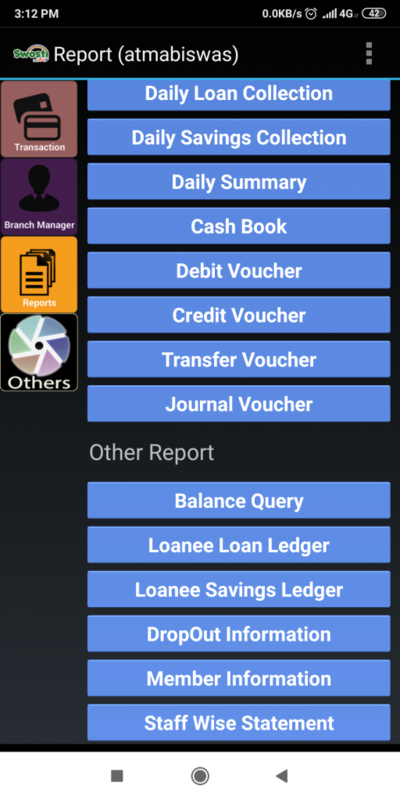 Search voucher by suffix/ prefix/ code/ ledger name/ date etc. Provision of microcredit (MC) played an important role as an instrument for achieving the objective of poverty alleviation in Bangladesh. The success of microcredit has been mainly due to its ability to address the credit needs of the poor. 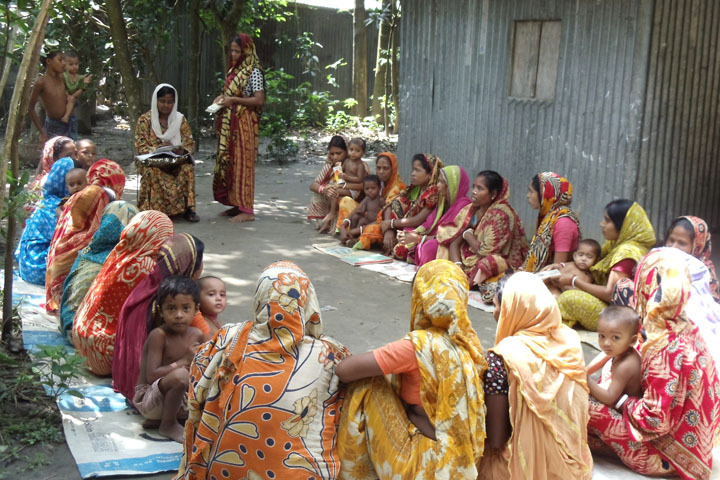 Microcredit Institutions (MCI) in Bangladesh have developed procedures for providing collateral free loans to the poor and assetless households. After more than three decades of operation, it is pertinent that we examine whether the microfinance institutions (MFI) in Bangladesh are making a continuous progress in achieving the objectives or what are the emerging challenges. 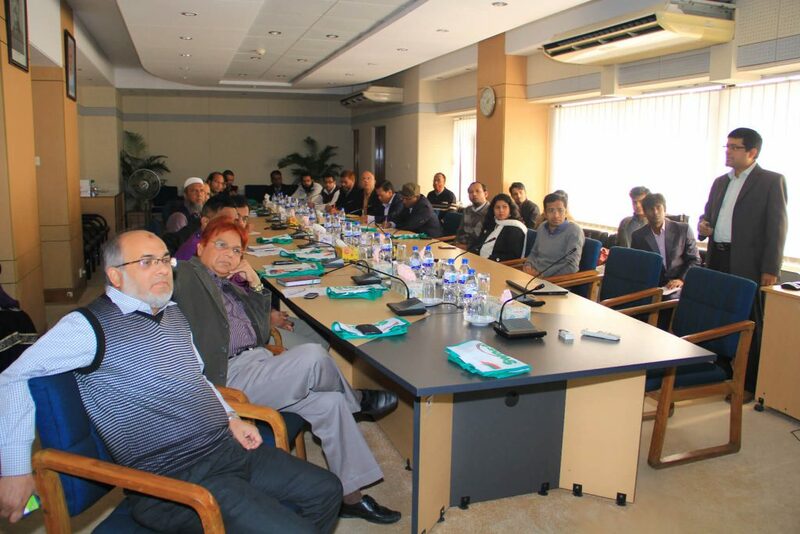 We at Swosti, are aware of the challenges & situation of MFI operations in Bangladesh. Swosti-mfi247 has attempted to address the issues & challenges faced by today’s MFIs and is relentlessly working to modernize & upgrade it through its paperless MC process. 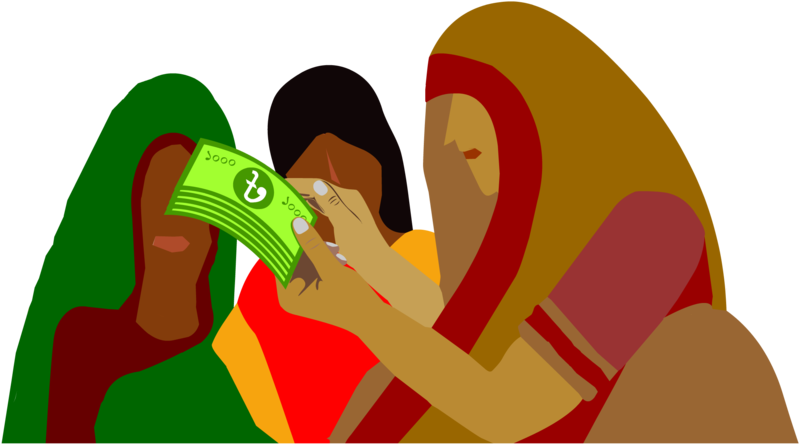 Why it is a smarter option for MFIs in Bangladesh? Data Entry Operator in Branch? 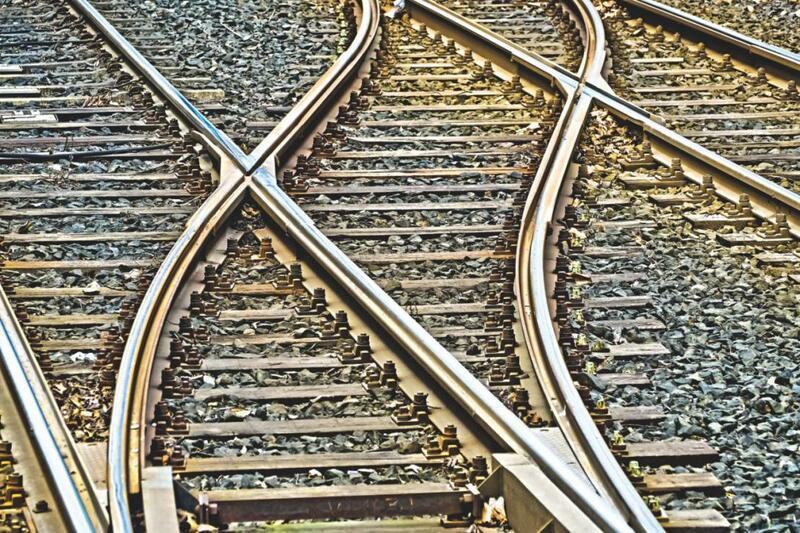 Yes – Branch & Consolidated. Yes. Journals are generated automatically with Narration and previous History. Can BM/HO correct wrong transaction, automatically? Yes, all types of corrections – AIS & MIS (without needing to access database). No IT Specialist needed. Yes, with detailed transaction break-down. Easy and Fast. No further voucher writing. Easy & Fast. Photo can be captured & uploaded instantly. 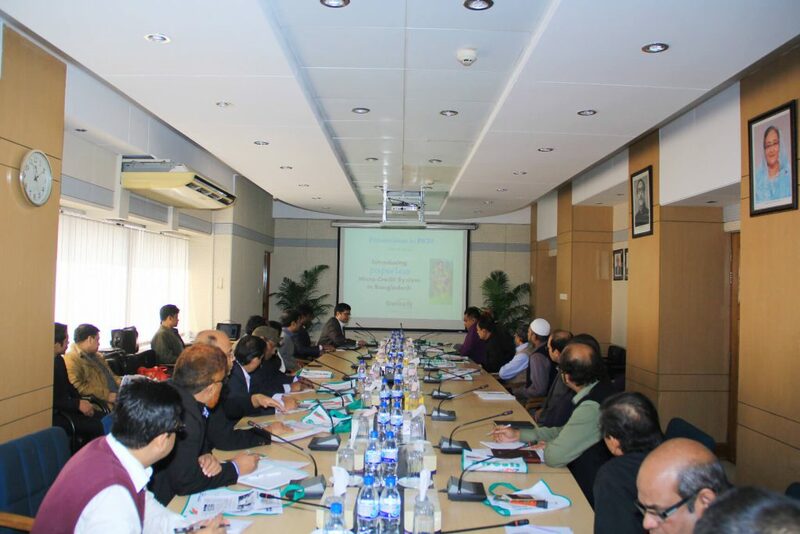 On January 15, 2017 Swosti presented ‘Swosti-mfi247’ in-front of senior officials of PKSF. 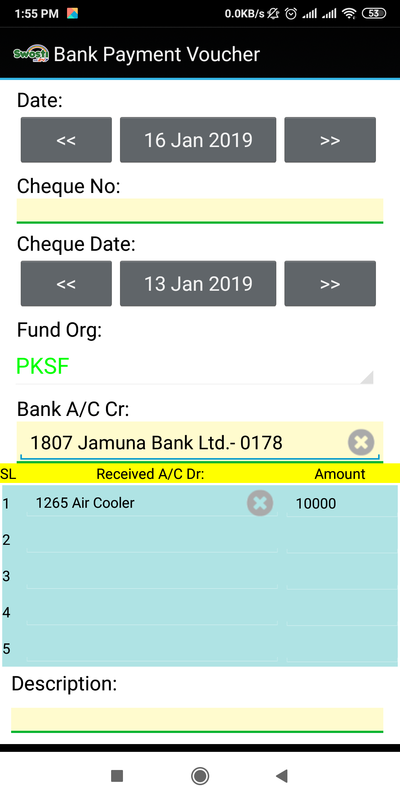 PKSF after full deliberation of this Mobile-based Paperless application recognized ‘Swosti-mfi as PKSF affiliated software vendor. Presentation of paperless Micro-credit system to the high officials of PKSF as on January 15, 2017 at PKSF conference room. If you think you need an application to increase your business or ease your business, you can share your ideas & we will convert it to an application.